Friday's Featured Fluff Addict is...Tamara of Adventures of a first time SAHM! Today's Featured Fluff Addict is Tamara of Adventures of a first time SAHM! 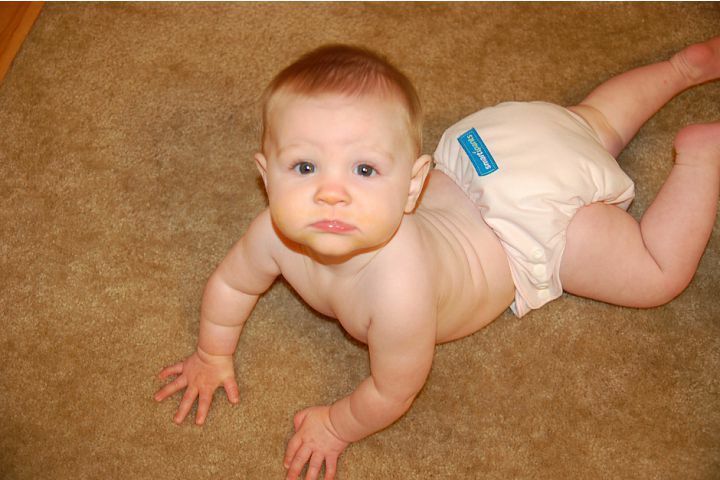 What made you decide to give cloth diapers a try? I'd been thinking about it and researching while I was pregnant, but didn't end up actually starting until Emma was about 6 months old. I admit, I was a little scared at the thought and hesitant because my husband was so resistant. But, I eased into it, my husband came around and now I'm completely addicted!! What were your friends and family's reaction when seeing the "new" cloth diapers and have they been supportive or skeptical of your choice to use cloth diapers? Most people are really surprised at how easy they really are, they're still picturing prefolds, plastic pants and scary pins, stinky wet pails and diaper service. Not that there is anything wrong with those methods, in my opinion, there are just so many easier ways. What was your very first cloth diaper? My very first set of diapers were a ton of thrift store prefolds, 3 Thirsties covers and one Bummis cover. What type of diapers does your stash primarily consist of; pockets, aio, onesize, prefolds, flats, hybrids, etc.? Pocket all the way, they are my absolute favorite!! What is your favorite Knickernappies product or which Knickernappies product are you dying to try and why? I've not owned any Knickernappies pocket diapers, but of course I would love to! I do, however, LOVE my Loopy-dos!!! Do you have a favorite place to hang out and talk or learn about cloth ; a blog, message board, facebook page, etc.? My blog, of course! Adventures of a first time SAHM! What cloth diapering item, besides diapers, do you consider to be a must-have accessory? Cloth wipes. I kept using disposable wipes for a few months until I was like: "What am I doing? ", it was silly to keep a separate trash can just for dirty wipes. If you could share just one tip with someone who is just starting out with cloth or considering using cloth, what would be your best piece of advice to them? Don't be afraid, just "take the plunge", it'll all work out. There's definitely a learning curve with cloth diapering, but that's part of the fun :) Do what you can, I was a part time CD mama for a long time and built up my stash slowly, even keeping a few sposies in the closet-"just in case". I'm happy to report, though, that we are an all cloth, all the time family now!!! Thanks so much Tamara, for sharing your story and advice! We appreciate it! Want to stay connected with Tamara? 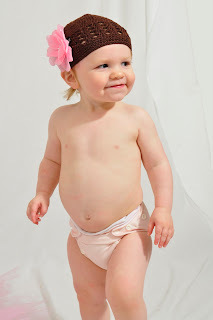 Make sure to follow her Blog for all her latest posts and more cloth diapering information. Yay! It's so exciting to see my precious little girl featured!!! Your blog is so insightful and a blast to read, thanks for sharing you wisdom! Keep up the good work!